10. Forever 21's Cheap Knock-Offs: We can always count on Forever 21 to give us some great cheap options for any fashion trend. I even make my students go to F21 as part of a Tribal Trend Scavenger Hunt assignment. They never fail to bring in stellar images of some wacky fringed and feathered bodily ruckus. 9. Suzy Menkes and the S-Word: Fashion critic and writer Suzy Menkes selects the wrong choice of words, and her slur flies completely under the radar. 8. Pendleton's Collaboration with Those Hipster Companies: Oh, Pendleton. Our entangled epic relationship continues. Click here to read more. 7. Spirit Hoods: I never blogged about these weird fluffy critters that hipsters love to wear on their heads while they're seeking vision quests at the latest music festival. But Adrienne Keene did over at Native Appropriations, and her interactions with the Spirit Hood Tribal Chief is hilarious. 6. Vogue's Indians: Vogue editors everywhere fell in love with the Indian and decided to do some fashion spreads in homage. The problem is that they chose to use non-Native designers, non-Native models, non-Native photographers, non-Native stylists and make-up artists, and non-Native consultants and editors. Thanks Vogue. 5. 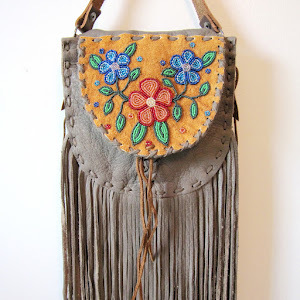 Red-on-Red Art Crime: (Mis)Appropriation happens all across the board, and in every direction, and in this post from earlier in December, a Native artist/businessman steals a design from a well-known Metis artist to create accessories to sell on Zazzle. 4. The Callaloo Parade: Native-themed parades were all the rage this summer (remember when the Pride boys filled their float with Cowboys and Indians in Santa Fe? ), but one in particular really stuck out for me. It was the Callaloo Caribana Parade held in Toronto, where 'sanctioned' hyper-sexualized costumes included the 'Native Apache' and the 'Sacrificial Mayan Virgin.' 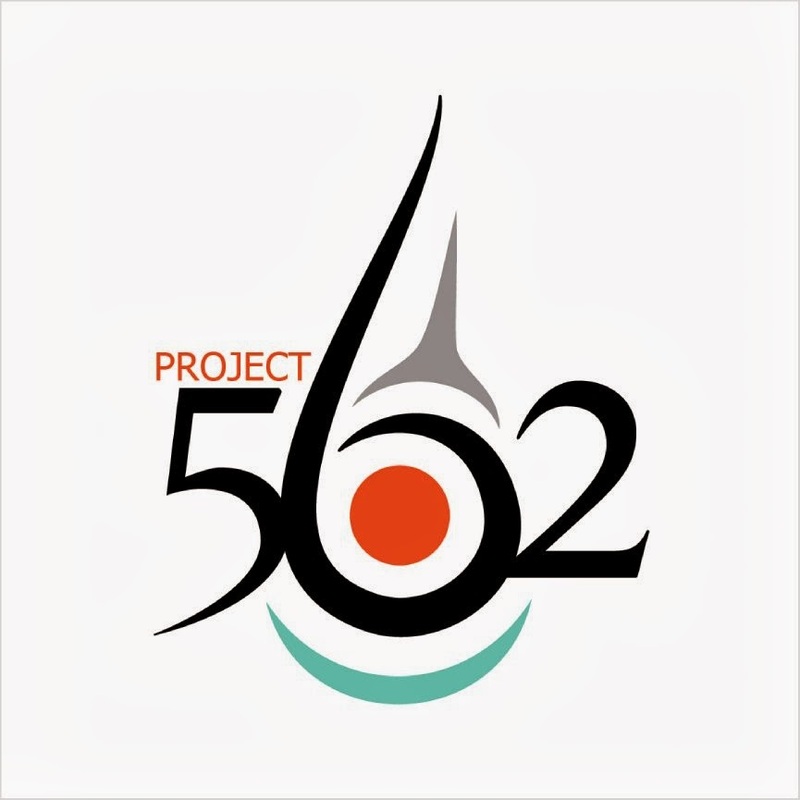 So, of course, I investigated the sexualization of Native women in fashion, from a critical perspective. 3. Proenza Schouler's Creepy Indians Video: Oh lawrd. When this one dropped I didn't know what to do. I think we all just scratched our heads. Some people tried to tell us that this video was 'clever,' but... I disagree. 2. 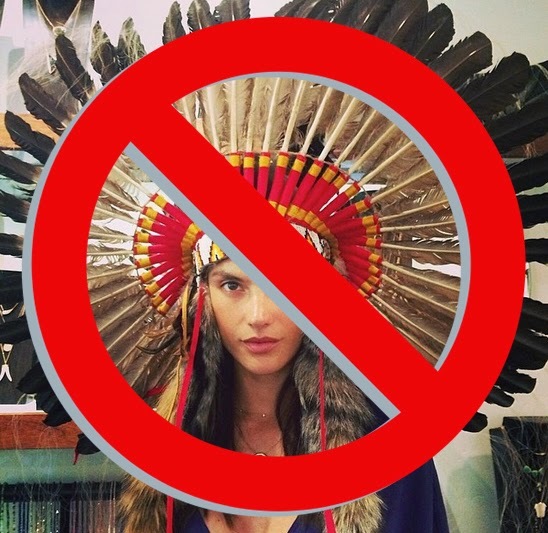 White Women (and Men) and Headdresses: The headdress trend continues, despite being overtly disrespectful. Sigh. So I began researching the history of this annoying trend. 1. 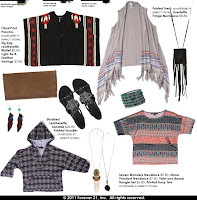 Urban Outfitters' Navajo Obsession: The short version: UO becomes obsessed with Navajos, Navajos send them a cease and desist letter, UO ignores, bloggers and writers wage digital war, and the soup hits the fan. Well, think of it this way: if it wasn't for this case, we wouldn't have this gem of a quote: "Don't claim Navajo, unless it's Navajo, and you ain't Navajo. So knock if off." Yea, UO, knock it off. BONUS: Genocide Chic Satire: Hilarity ensues when mock high fashion designer DW Diaz dips the old crusty past in some glitter! Let's hope that none of these "top trends in Native appropriations in fashion" drag on into 2012! I love your first paragraph. I've never heard a more apt description of the knockoff "native" apparel than "wacky fringed and feathered bodily ruckus". Bravo. This shall be incorporated into my language use forthwith. Thank you for expanding my critical vocabulary. No, this is not sarcasm.